Out of home (OOH) or outdoor advertising is just that; advertising on spaces in the public arena which talk to a wide audience. Over 90% of people in the UK see outdoor advertising. A rare medium that can reach large audiences (in a fragmenting media market) and create Fame and Personalisation for brands in relevant locations where the audience is alert and receptive. It is a traditional broadcast medium, which has the enviable space to grow and thrive. 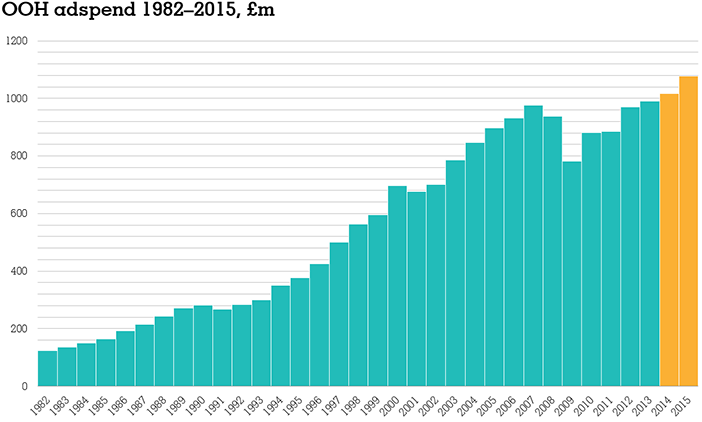 Annual growth in the OOH sector grew by 2.7% in 2014, and throughout this year, estimations suggest growth will increase further. The growing success in the OOH / outdoor sector can be attributed to the rapid adoption and adaptation to new digital technology. There is much more to outdoor advertising than the typical billboard. It has the ability to make sure you are communicating with your audience at the right time in the right place. It accesses many environments; malls, railway stations, cinemas, gyms, supermarkets to name a few. It is this relevant placement which creates the connections you need with your audience. As the medium evolves and technology develops, so does its tactical potential. Not only can it build brand awareness, it can encourage consideration (by filling in dead time with copy heavy messaging on trains and buses) and activate conversions using mobile technology or POS messaging. 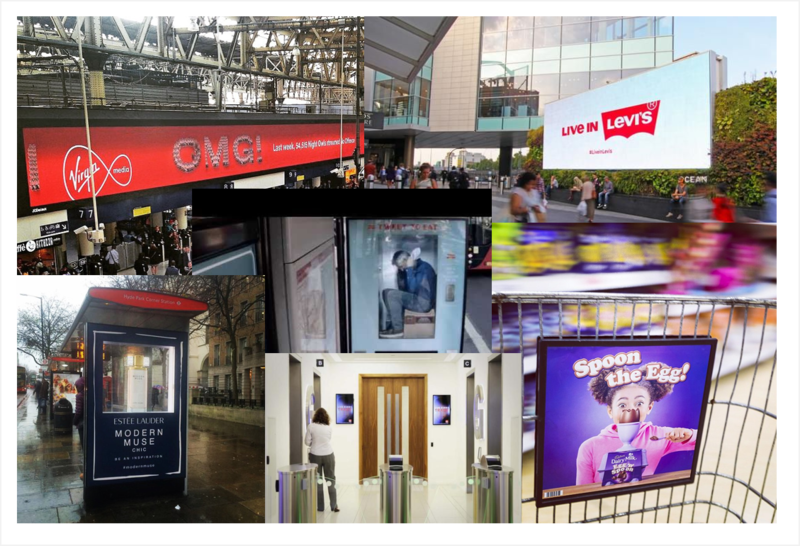 With the phenomenal growth in digital screen advertising, there is a new reactive angle to OOH. It now delivers day part messaging and the ability to react instantaneously to breaking news, weather conditions and media events. Digital screens and the experiential side of OOH can also facilitate shared social experiences, which are increasingly important communications objectives. Outdoor advertising is changing for the better and an exciting place to be right now. - The platform is projected to grow between 3-4% in 2015, with digital OOH and the reach formats of 6 sheets and billboards the driving force for the expansion. The medium remains characterised by the promise of broadcast communication, but with location, environment and audience becoming more important. - Ongoing investment and technology within the medium has created a valuable connection with what is happening in people's every day lives and makes Out of Home the place where all other media now come to play. - Route audience data shows us classic OOH broadly reaches most people. It most efficiently impacts on audiences where other classic media are increasingly fragmenting. This means particularly ABC1s, young adults and men. 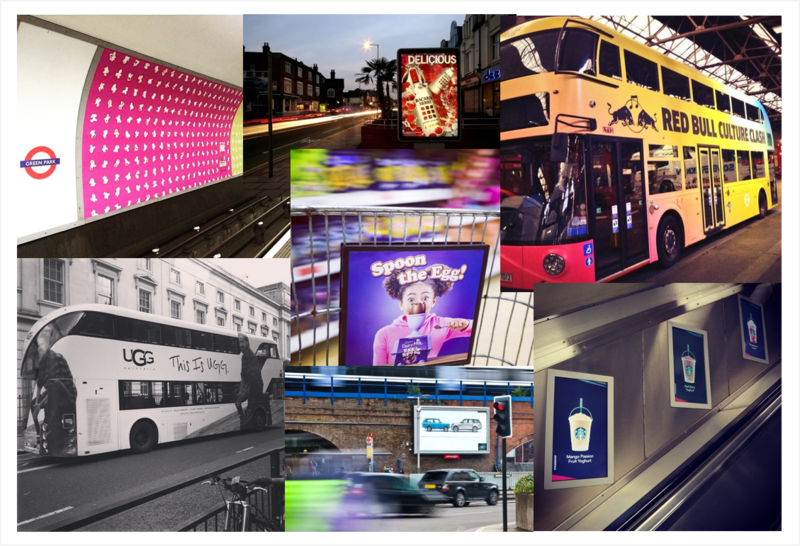 - Individual broadcast formats like 6 sheet posters and 48 sheet billboards have weekly reach surpassing all other individual UK media brands; this is the case for OOH's Power of Reach. OOH works well as both a complimentary and stand-alone media. But reaching audiences (and driving frequency, impact and context) remains crucial. - However, we mustn't forget the benefits of using digital OOH to target people where and when ads will works best, offering flexibility not always achievable with classic OOH ads. Just one of the landmark digital OOH screens, Waterloo Motion has a weekly audience of 2.1million and reaches nearly 250,000 "urbanites" every weekday. Like many screens it can link to any live data feeds and provide a fully interactive capability. Put simply, Out-of-Home reaches people other media can't. In recent years, Talon and the wider Out-of-Home (OOH) industry have driven a more context-led and creative approach, fuelled by huge media owner investment and smarter planning solutions. developments have centered around digital flexibility, context and location specific ad copy. Technology, including augmented reality and mobile apps, has brought great brand ideas to life. Imaginative activations, attractive to a media hungry for the new, have created some real standout worldwide viral hits. - Outdoor reaches large audiences, those generally most relevant to advertisers; a connected, mobile and urban audience. - Outdoor influences through the powerful locations where it impacts. - Outdoor activates people to engage and interact with brands and take action in countless new ways. - Outdoor amplifies messaging and content through a strong synergy with traditional and non-traditional media, plus word of mouth. - Outdoor inspires people through a landscape of iconic imagery and by generating impressions that last. - Outdoor reaches a young, mobile audiences, plus shoppers and those travelling. - Mall shoppers - A variety of formats in the nation's busiest malls allows messages to reach consumers at the point of purchase. - Food shoppers - 6 sheets outside supermarkets, and baskets and trolleys within them, reach this key audience. - Socialisers - in-bar formats reach groups in an environment where they may discuss what they have seen. - ABC1s - a more discerning audience hard to reach for advertisers but frequently exposed to the most premium formats and environments. - Business travellers - Activity in airports, rail and underground environments is a key way of reaching influential business travellers. - Students - Posters in universities and student unions communicate with large students audiences. - Everyone! Outdoor is the last broadcast medium!